where to get tires shaved? just got word my Dad ordered me a set of Star Specs for my Xmas present! Wondering If anyone knows where I can get them shaved to 5/32? Re: where to get tires shaved? Why? Just let them be! Star Specs are awesome tires! I think, but I may be wrong, that Tire Rack does tire shaving. But I would imagine if eh is ordering from somewhere else having them shipped to South Bend, shaved, then shipped back wouldn't really be worth it. They are awesome, but they will be more awesome when shaved to 5/32". One of the reasons radial racing slicks are so effective is because they feature shallow tread depths and their contact patch acts as a single unit. However, any tread design breaks up the contact patch into smaller elements and additional deep tread depth (required to enhance wet traction) allows tread block squirm which will reduce dry performance. This means that tires typically provide their worst wet traction ... and their best dry performance just before they wear out. However, its also important to remember that the heat generated every time a tire is driven activates bonding agents in the rubber. As this process is repeated continually throughout the tire's life, its rubber compounds gradually harden and lose flexibility reducing the tire's grip. Therefore, a shaved "new" tire will provide more traction than a tire worn to the exact same tread depth after being driven for thousands of miles on the road. Tire shaving is an effective means of permitting more of a tire's performance capability to be realized early in its life. Tire shaving removes tread rubber and reduces tire weight by several pounds. A shaved tire's tread profile will usually result in a slight increase in the width of the tire's contact patch putting a little more rubber on the road. The resulting shallower tread depths reduce the tire's slip angle, increases its responsiveness and help stabilize its cornering power by minimizing tread block squirm. Minimizing tread block squirm also reduces heat buildup and the risk of making the tire go "off" by overheating its tread compound. And in many cases, shaved tires used in competition actually have a longer useful life than tires that begin being run at full tread depth. So with all of these benefits, the next important question is: "How far should a tire be shaved?" Hoosier R3S03, A3S03, R3S04 and A3S04 radials, as well as KUMHO ECSTA V710 tires are manufactured with 4/32 to 4.5/32" of molded tread depth and do not require tire shaving. Most other DOT-legal Competition tires begin with about 6/32" of molded tread depth. While some tires do not require shaving for dry autocross use, all of them will benefit from shaving to about 4/32" tread depths for driver's schools, track days and competitive track use in dry conditions. Most Ultra High Performance Summer tires begin with 10/32" of starting tread depth. Our experience is that shaving them to about 6/32" will provide a noticeable improvement and is a good starting point. However, it's also important to remember that once used, all tires will be much less effective during the next competition season. Therefore we recommend that tires be shaved to a depth that is sufficient to last for no more than one competition season. If it is very important to you to do well in the one event you run a year, a tire shaved to about 4/32" will further enhance your performance. Most of the fastest guys in my club are running shaved tires for dry track days. 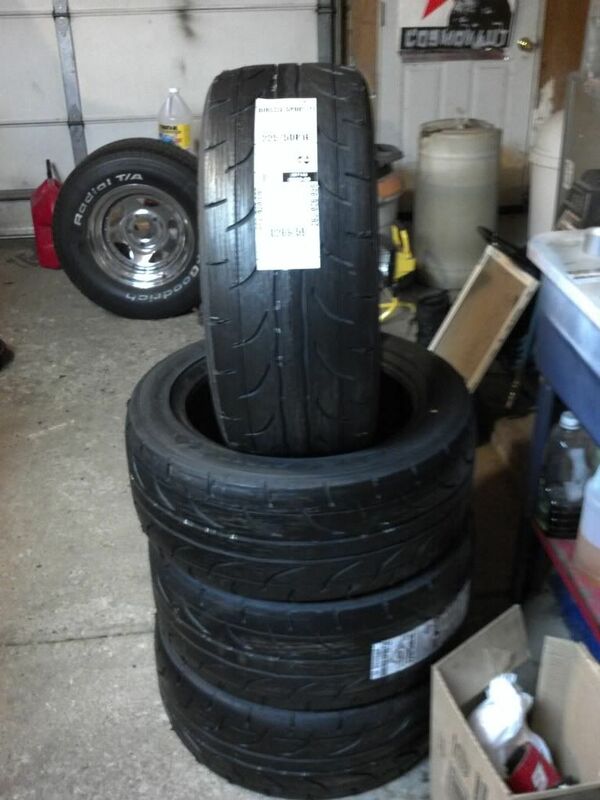 I can then grab a cheap set of 16x8 wheels to put my T1Rs on or wet conditions. Nsquared97 wrote: I think, but I may be wrong, that Tire Rack does tire shaving. But I would imagine if eh is ordering from somewhere else having them shipped to South Bend, shaved, then shipped back wouldn't really be worth it. You are correct. I just called my Dad so he can contact the retailer he is getting the tires through because they are ordering them from TireRack, and having them get the rack to shave them before shipping. If its too late I think I found a place in South Beloit right by BlackHawk that will do it, I just need to drop off/pick up and hour away. Gotcha. And yes, shaved tires do have an impact on performance. A lot of the top guys that autocross in the ST classes run shaved tires at Nationals. 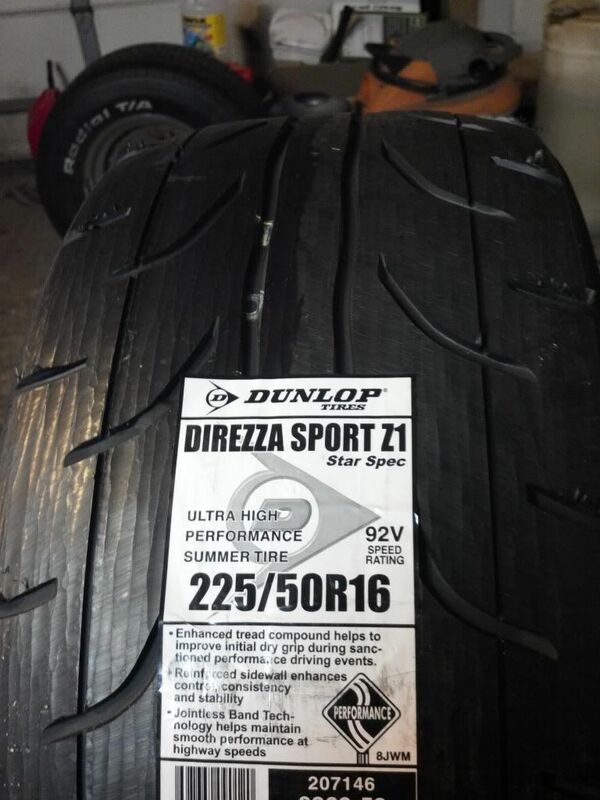 Fresh, non heat cycled rubber with much less tread squirm. Hm.... Well it better be worth it. IMO I'd like my tires to last alot longer and probably wouldn't do this. I guess it makes sense, but does it honestly improve grip to the point where its worth it? yes. And tires will actually last longer and wear better after shaving than running them from full tread and wearing them down. Any successful competitive racer will be running on shaved tires, unless the tire they run comes shaved as part of its design. I wouldn't ever do it to tires I plan to run on the street, but if I ever find myself in a somewhat competitive position, I would definitely consider it. yeah very bad idea on the street, you don't want to get caught in the rain on shaved tires. M20_fever wrote: yeah very bad idea on the street, you don't want to get caught in the rain on shaved tires. Well, let me know how it fairs. I'd just like to see some hard numbers I guess to decide if it's truely worth it. I understand why you do it, but what is the gain? I guess I just don't notice the issues that people talk about as to why they shave a tire. Tread squirm is really peoples biggest complaint. 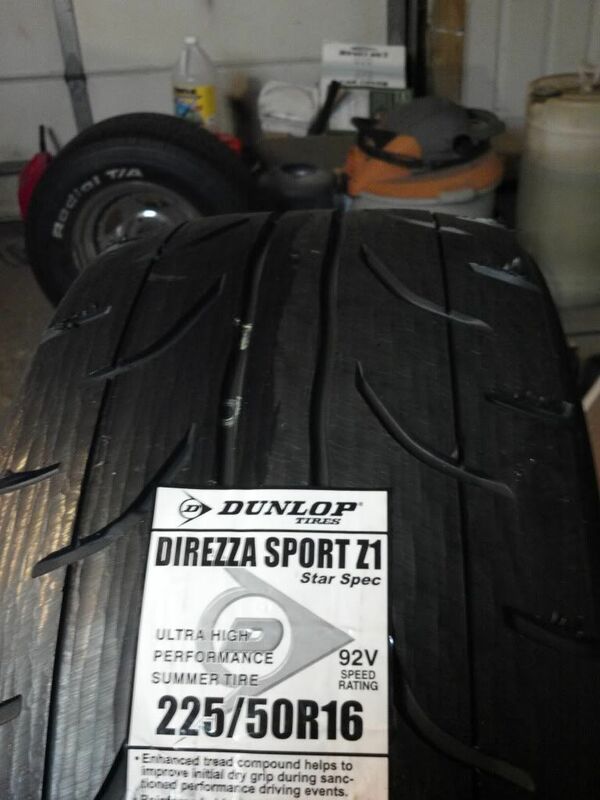 I had brand new Azenis my first year, and Hankook Rs2's and I never felt anything weird. Even when I had the 318 at Black hawk, they felt fine.... IDK.... To each their own. I'll be sure to post results, but it's been proven over and over you will run faster with them shaved. KenC wrote: They also don't retain as much heat and the compound is less likely to harden after a few heat cycles. JRKOUPE wrote: and they often will last longer than non shaved. This is all for dry use of course.